Welcome to Byfleet Primary School! I would like to extend a warm welcome to Byfleet Primary School set in beautiful grounds, amidst our vibrant local community.We are a busy but friendly school, with an ethos throughout of Learning, Caring and Sharing - Learning is our core purpose and the children can learn knowledge and skills safely, and learn respect for themselves and for others. Our whole school community values the contribution every child brings to our school. Our school is a happy place to learn and to work. Our aim is to make the learning engaging with a level of challenge which encourages our pupils to develop resilience, independence and persistence. These qualities they take with them when they leave. Our school has a positive reputation for celebrating every kind of achievement and we reflect this in our unity and in our weekly assemblies that highlight achievements both in and outside of school. At Byfleet Primary School we welcome parents as partners so that we can promote together the high standards of learning, behaviour and attitudes. We have great support from the parents' Friends association and we welcome parent helpers in all year round. We are a mixed day school with 247 on roll. The school is set in a green environment with a pond and nature area and a playing field. Most pupils live locally in the surrounding area. 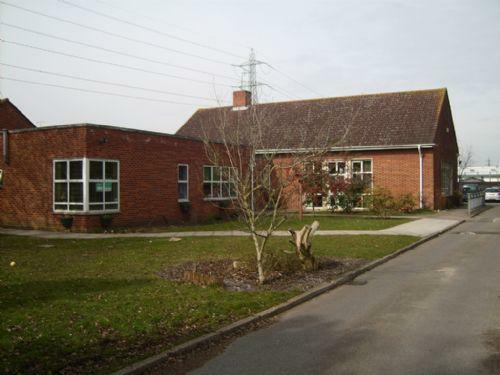 The school has a privately run pre-school on site which takes children from the age of 2 and is open every day all day except Friday afternoon. Byfleet School is in the STARS partnership, a groups of local schools which organises shared initiatives that directly benefit children's learning. We co-operate on many areas across the school life and our aim is to improve our practice and to help others improve. This website aims to give you a taster of the school, as well as providing regular updated information for parents, pupils and the community. We hope that you enjoy your visit to our website, and that you find any information you are looking for. If you wish to visit the school, or you have a query please feel free to contact the school direct with any queries you may have. I look forward to a continued happy and successful relationship with you over the coming years.